Transcription: Think it over. 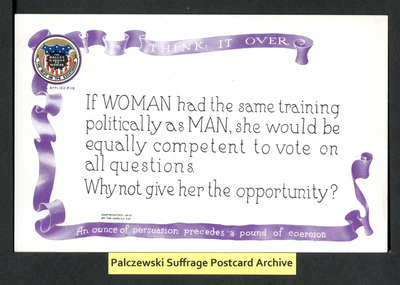 If WOMAN had the same training politically as MAN, she would be equally competent to vote on all questions. Why not give her the opportunity? An ounce of persuasion precedes a pound of coercion.